The power of social media is officially undeniable. Being active on social media has become an indisputable part of every brand’s marketing strategy, no question about it. Instagram or the “visual platform” is leading the way when it comes to brand marketing. 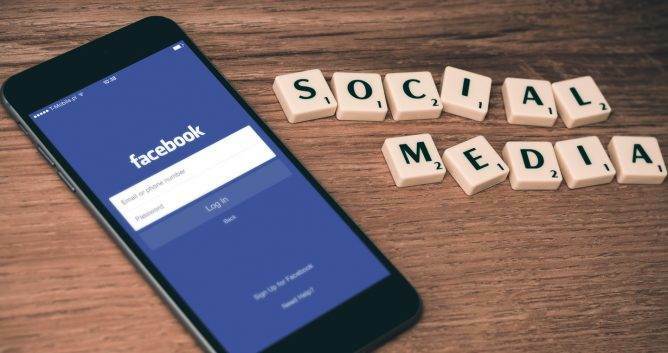 With more than 1 billion active monthly users and 25 million active Instagram business profiles (source: Statista), this social media app is killing the game. When you’re thinking about ways of making your e-commerce business more successful or you want to build brand identity, Instagram is the way to go. With 90% of world’s 100 top brands using Instagram and 50% of Instagrammers following brands, making them the social networkers who are most likely to do so (source: Brandwatch), you shouldn’t doubt it’s power. And, in order for you to stay on top of your Instagram game, you need to follow all the latest trends and improve your marketing strategies. Instagram is primarily a visual platform, for sharing images and videos. Up until June 2018, we could only post 1-minute long videos and use them to transfer our message. However, since June 2018, Instagram has launched a brand new feature, making marketers all over the world extremely happy. It’s called IGTV (Instagram TV) and it’s perfect for new marketing ventures. it allows you to post 1-hour long videos. Online stores, fashion brands, and business profiles have embraced the feature instantly and started using it for gaining more customers and their engagement. These hour-long videos opened a whole new window, allowing marketers to create videos as they’ve never done it before. And so should you! This allows you to show your customers a different side of your brand, inspire them to visit your online store and become a part of your story. For example, ReDragon, a well-known manufacturer of products for gamers, uses IGTV to share more detailed product overview details that are more useful for their target audiences than 20-second clips. ReDragon is a a well-known manufacturer of products for gamers. 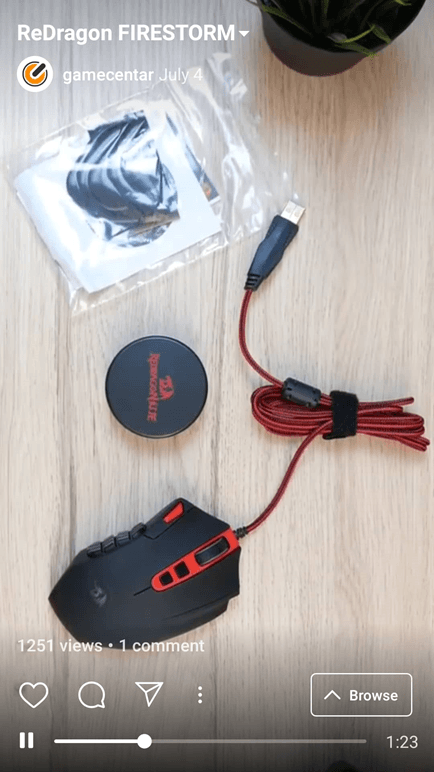 This video of a recently introduced FIRESTORM mouse for gamers, for example, is used by the brand as an opportunity to share information about the new features and teach viewers how to use the product. The next example of the use of IGTV by brands comes from Nike. The company takes advantage of the opportunity to upload long videos by sharing storytelling content with its followers, which is a great technique to foster brand loyalty. Below is the screenshot from the series of videos on unique human beings and their incredible lives. This one features Sarah Reinertsen, an athlete, her journey to Ironman 2018 and her amazing determination to compete at a high level. A truly inspirational and compelling story. Sarah Reinertsen showed her training for Ironman 2018 on Instagram. Instagram stories have been around for quite a while, but they’re evolving as well. Instagram is constantly adding new story features, giving you the opportunity to engage your customers in the best possible way. 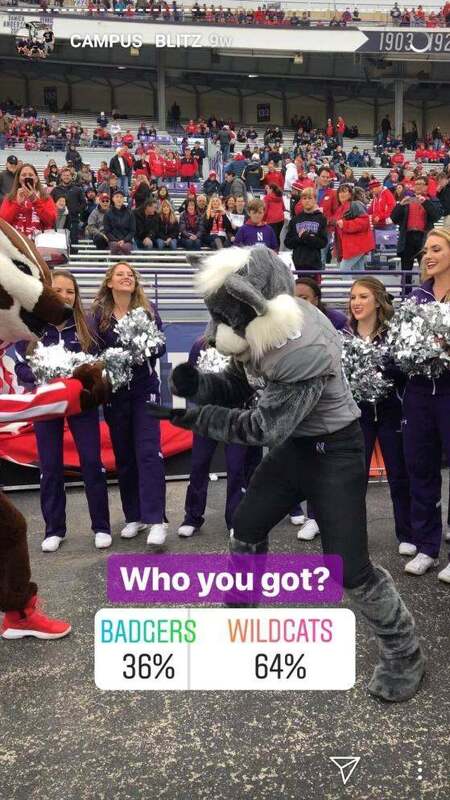 One of the latest additions to the Stories, the use of which is going to skyrocket in 2019, is the Instagram story poll. Below are two examples of brands using this feature to increase their followers’ interaction with posts. The one on the right comes from a clothing brand Guess and asks the viewers about their preference between two styles. Guess benefits from the poll feature in two ways: first, it engages their followers with a question and leads them to the pages of the products featured in the poll. You can even post the results on your website, asking Instagram followers to swipe up and find out the results. People love it when they can actively participate in something organized by their favorite brand. Give them a chance to connect with you and become a part of your little family using these cute yet effective story polls. For example, you can ask people to help you vote the coolest outfit of the season. Those who participate are most likely to come back to your brand and check the results. Ah, yes! The dream of every e-commerce marketer is finally here. Instagram is giving you a chance to seal the deal even faster and turn more people into customers in no time. Instagram is now giving you the opportunity to use product tags on both your pictures and your stories. For example, take a look at the post from an online clothing store Zaful below. As you can see, the viewer can see the product “in action” and even visualize how it would look on themselves. And, if they like what they see, they can go straight to the product’s page and purchase it. It’s super simple and it saves your potential customers the time of manually searching for the product on your website. This way, the shopping is almost instant. Less time looking for product information means less time for potential customers to change their minds. Entrepreneur suggests you to “be sure not to get carried away; it’s not a good idea to make every one of your posts on Instagram product-oriented. Even though you may feel like pictures on your profile are your most powerful tool, stories may be able to beg the differ. Stories are becoming more and more prominent and are starting to seriously dominate the Instagram content marketing game. The truth is most online stores are focusing on short yet intriguing and memorable Instagram stories to generate traffic to their e-commerce website. Story ads are, therefore, on the rise and in 2019 you need to follow the trend of Instagram story ads. For example, the story ad from Nike announces the arrival of the new product in stories, which is a good move since stories are essentially immersive, full-screen ads (moreover, 400 million people watch Stories on daily basis, which provides a decent exposure). invite customers to participate in a giveaway or a sale. One of the key points of content marketing has always been the persuasion. You need to persuade your customers that what you’re trying to sell is real and you’re being completely honest with them. However, polished images and beautifully produced videos can sometimes be misleading for a customer. To put it simply: a customer may feel like it’s all a bit too “advertisy”. Luckily for you, there’s a way to show a different side of a brand. By using Live Instagram videos, you can turn any customer around. You can use live videos to communicate with your customers, show satisfied customers, inform people about an event or invite them to a happening. There are numerous options and it’s your task to figure out what is it that your audience will love the most. So there you have it! These Instagram trends are bound to make a huge impact on content marketing strategies all over the globe. Keep in mind that your content needs to be written professionally. Use tools and services such as Grammarly, Essay Supply or Hemingway to help you only publish impeccable content. As Instagram is a visual media, make sure your branded content looks appealing to viewers and catches their attention. Design tools like Canva and Designhill can become handy to solve this problem. Your content marketing strategy is what makes you strive high and achieve goals. Your online store and your brand need you to stay on top of your game and follow all the latest trends. 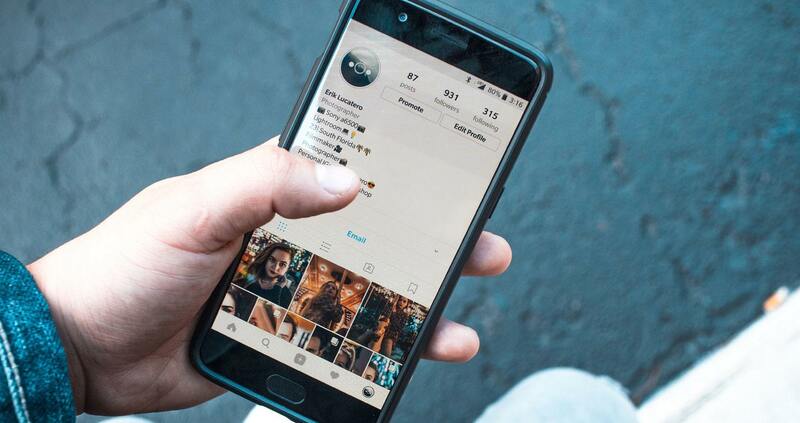 Instagram marketing trends for 2019 are already here and it’s time for you to embrace them. Be wise and seize every opportunity there is for you to make your brand even more recognizable. Follow the trends we’ve suggested and start connecting with your customers on an even higher level. Thanks to our five years of experience in the T-Shirt printing industry, we are now able to satisfy the needs of even the biggest of companies. Printsome’s T-shirt printing services are not only perfect for a marketing campaign but also for producing personalised workwear, custom sleeveless T-shirts, personalised hoodies and more. From the moment you get in touch, one of our printing experts in either Reading, Warrington, Stockport, Cheltenham will answer all of your questions and find efficient solutions to your needs. It is our mission to help you reach your goals. We ship all over the UK with flexible delivery services that can adapt to most deadlines. Print custom T-shirts has never been this easy. And if you need to print T-shirts in bulk, we got you covered. Why worry about inventory or logistics when we can take care of that? To find out more, simply visit our website by clicking on the banner below.